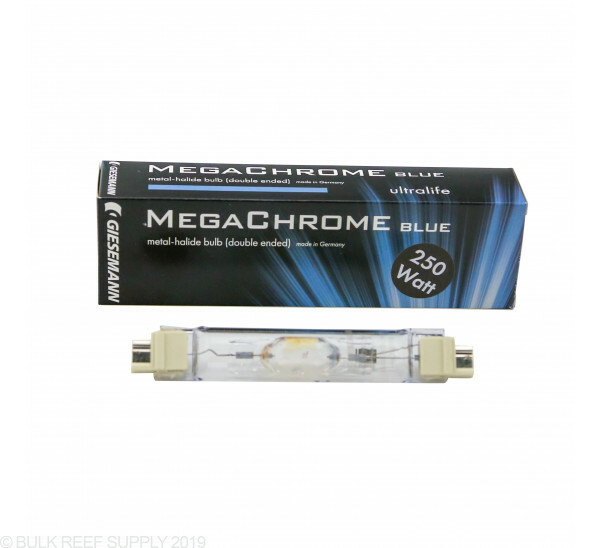 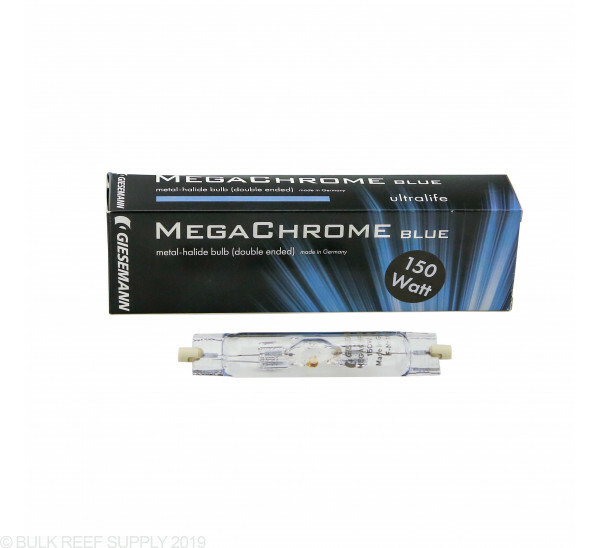 The MegaChrome Blue lamp emulates the deeper portions of the reefs giving a rich blue tone, radiating actinic light to your aquarium. 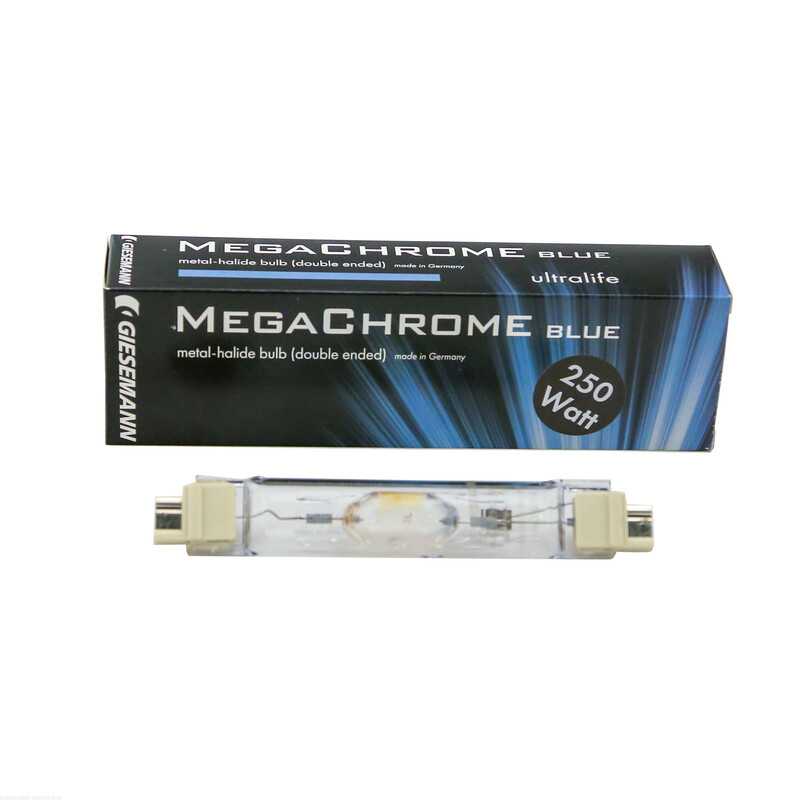 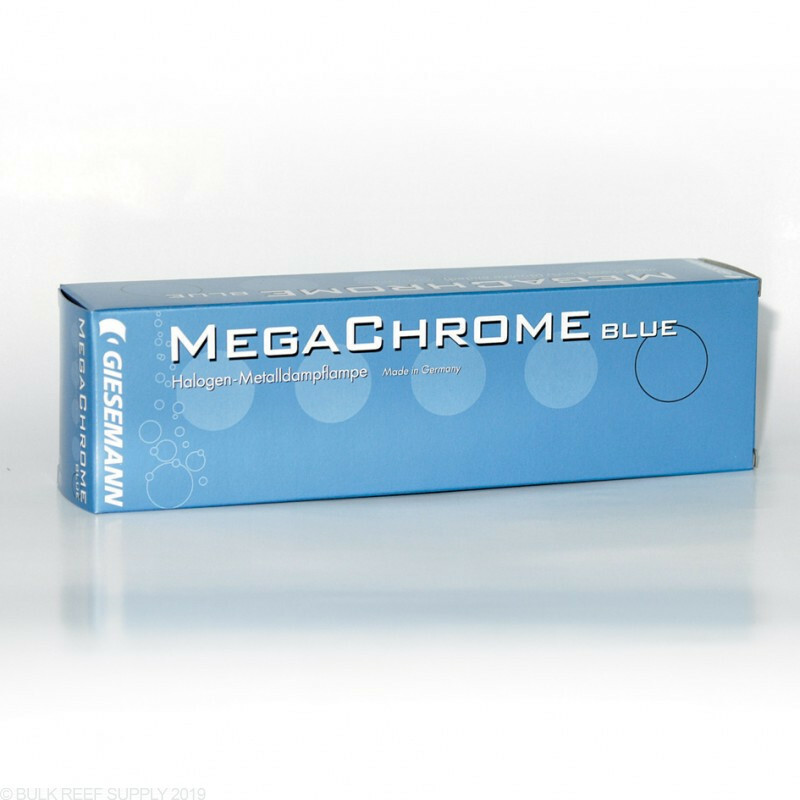 For some of the best coral coloration, the MegaChrome Blue will be the bulb of choice for many institutes and retail establishments. 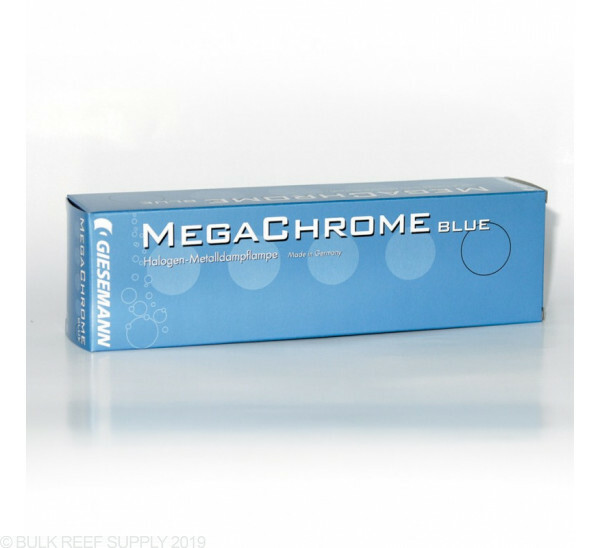 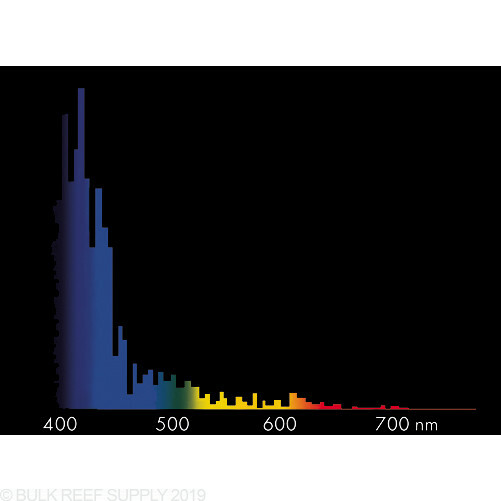 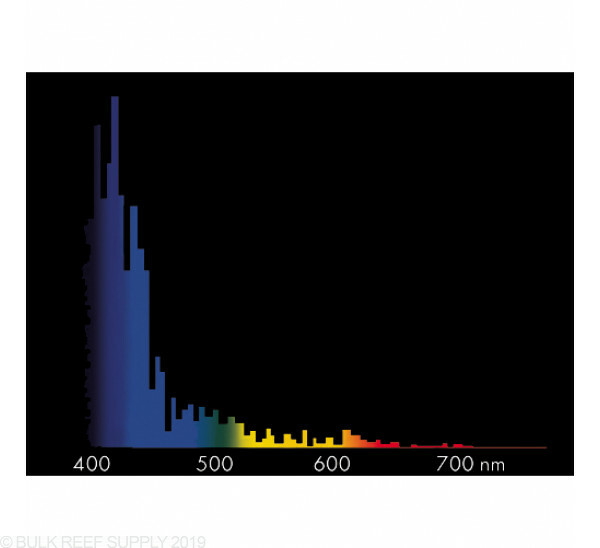 With its very high-temperature range of greater than 21000K, the Blue lamp will highlight blue and green corals in your tank while still providing suitable growth.